Last 13th August, the Austria Team broke the tape of the amazing Sun Trip 2015. The athletes of the Tregoo Extreme Crew, pedal thrust after pedal thrust faced any kind of routes, clocking up 8025 kilometers in 77 days! 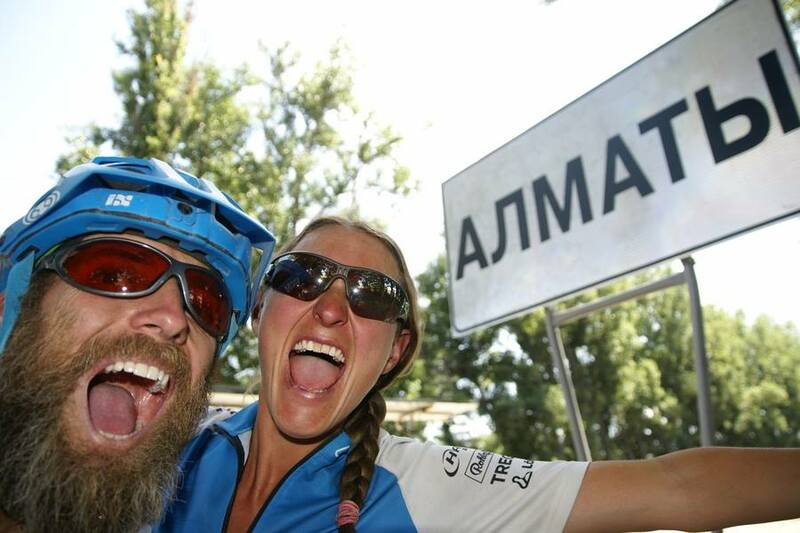 The venturesome itinerary on the electrical tandem of the Austrian couple began from Milan last 6 June, passing through Albania, Macedonia, Greece, Turkey, Georgia, Azerbaijan, Kirgistan and ended in Almaty (the biggest town of Kazakistan). The tandem used by Andreas and Anita was provided with a tough stand that supported the two Tregoo solar panels (TL130) for a total weight of 4,40 Kg and a daily total power of 1500 Wh: the necessary autonomy to cover from 130 to 300 kilometers per day. Andreas and Anita shared their experience by keeping their blog always updated, in which they told about their feelings on the road among many smiles, as many friends and some flat tyres!